If you are like me, you may have touble getting out of bed in the morning, then this may be the solution the Police Alarm Clock. Standing 6 inches high, the police alarm clock is shaped like a blue light on top of a cop car. “This is the police, you have t’ll the count of three or we’re coming in”. 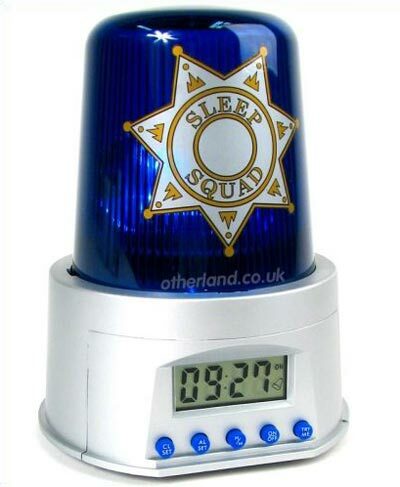 The Police Alarm Clock is available to buy online for about $25 from Otherland.